Great recap video of #Grandman2017 by John Oldshue! We are excited the 2017 Publix Grandman Triathlon is officially in the rearview mirror. This year was touch and go with water quality concerns and severe weather forecasts the entire week before the event. We finished with three water tests by the Alabama Department of Environmental Management (ADEM) all coming in clean from Tuesday through Friday and though it was gray, we were fortunate to have glorious, rain-free weather. Another successful race in the books! For the first time this year, we divided racers into two different finger piers to jump off to help speed up the swim start. It turned out great! We also made another change this year - jumping off two finger piers to speed up the swim start. From everything we have heard thus far from racers, the majority of racers were very pleased with the change. Each year we try to continue making improvements to the race so we can make the Grandman the best event it can possibly be and this was something we felt was a necessary change. What did you think about it? Let us know how your race experience was by taking our racer survey! We truly value your input. When it was all said and done, we ended with a grand total of 725 racers and nearly 150 volunteers. What another fantastic year! Have you seen the race results yet? Click here to see how you stacked up against the rest of the field! We had three myTeam Triumph teams race again in the Grandman this year! 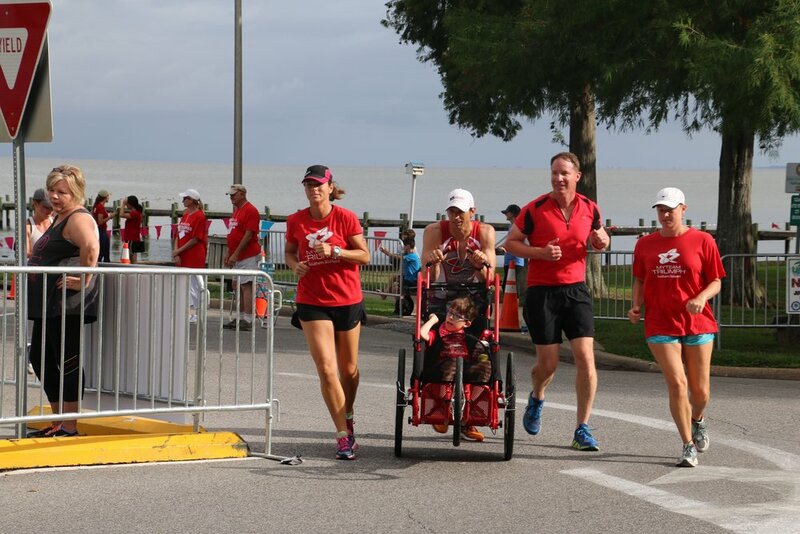 In case you are unfamiliar with this event, the Grandman Triathlon is Mobile Baykeeper’s largest fundraiser, raising nearly $100,000 for our efforts. We support myTeam Triumph: Southern Alabama and Delta Bike Project as they help support us in pulling off a safe and well organized race. Mobile Baykeeper chooses to host this annual event because we want to see our entire community outside safely enjoying Mobile Bay, breathing clean air and swimming in clean water. Outdoor sports are the key to healthy communities and that’s exactly what we work to accomplish – clean water, clean air and healthy communities. We were lucky to have a wonderful group of volunteers from Ralph Lauren Polo help us set up the race course on Friday! The Mobile Baykeeper staff and the team of volunteers are now seasoned with at least two Grandmans under their belts and their enthusiasm was high and full of joy fo­­r the many days running up to the event. They each brought a new energy, excitement and enthusiasm for their jobs and made all the hard work seem effortless. We also had incredible interns join the team and last all the way through to the bitter end. The Mobile Baykeeper Staff, Board, Young Advisory Council, friends, families and volunteers are tired, but love putting on this event for our community year after year and we are so grateful for all of your support. We had a great time partnering with Eastern Shore Triathlon Club to co-host the Jubilee Kids Triathlon this year! Mobile Baykeeper also embarked on a new race weekend adventure this year - assisting with the Jubilee Kids Triathlon on Sunday. The races have shared resources since the Kids race was established seven years ago, but this year we did more cross marketing and created a website and similar communications systems to the Grandman. With continued support of the Eastern Shore Triathlon Club, we hope to make the change more comprehensive and permanent next year. That means we’ll need more amazing volunteers again in the future! Volunteers - We are excited to announce the volunteer appreciation party will take place on the evening of Monday, June 19th at the home of Carl and Chris Blunck. Be on the lookout for more details to come! We especially want thank our sponsors without whom this race wouldn’t be possible - Publix, Coca-Cola, Powerade, Dasani, Waterkeeper Alliance Splash Series presented nationally by Toyota, Poarch Band of Creek Indians, Lyon Fry Cadden, Southern Light, Austal, and many more. We couldn't do it without all of our wonderful bike and tri shops as well - Pro Cycle & Tri (finisher medal sponsor), Cadence 120, Run-N-Tri, Eastern Shore Cycles, Infinity Bicycles, Running Wild, Gulf Coast Cycle & Tri and the list goes on. Special thanks to J. Vestal Photo for once again being the official event photographer. 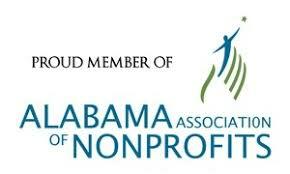 Because of their generosity, 15% of photo purchases will be donated to Mobile Baykeeper! Click here to view photos and order yours today! Thank you again for another successful Grandman Triathlon. It's never too early to start preparing for #Grandman2018 - it will be right around the corner before we know it!